ISRAEL = FACES WORLD OF ACCOUNTABILITY FOR MASS MURDERS AND WAR CRIMES | Concise Politics -- Your Time should NOT be wasted. NETANYAHU = WANTS YOUNG “STUPID GOYIM SOLDIERS” FROM AMERICA + $TRILLIONS IN MILITARY SPENDING PAID FOR BY AMERICAN MIDDLE CLASS GOYIM TO FIGHT HIS FAKED EWARS OF CHOICE. NETANYAHU = Series of very provocative, demagogic Statements Renouncing USA Supported two-state solution. 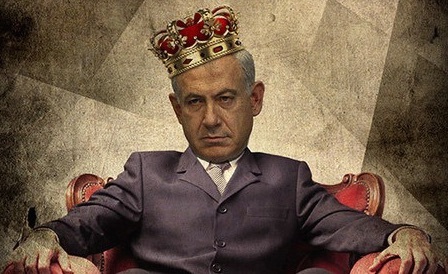 NETANYAHU =Self-Proclaimed King of All Jews = Most Jewish People Disagree! NETANYAHU = What does it mean for Israeli now have someone of this VITRIOLIC NATURE to run the government? NETANYAHU = Means United States will likely NOT veto resolutions by the Security Council at the United Nations = The days of AUTOMATIC PROTECTION OF ISRAEL are in the past = A huge problem for the WAR CRIMINALS in Israel = MAKES THEM ACCOUNTABLE FOR THEIR MASS MURDERS AND WAR CRIMES = VERY ALONE ON THE WORLD STAGE. This entry was posted in ISRAEL = FACES WORLD OF ACCOUNTABILITY FOR MASS MURDERS AND WAR CRIMES and tagged ISRAEL = FACES WORLD OF ACCOUNTABILITY FOR MASS MURDERS AND WAR CRIMES. Bookmark the permalink. ← COTTON INVOLVING THE NAZIS HITLER FIRST MINUTE OF FIRST SPEECH IN SENATE = BUT OF COURSE = IT FITS!